When recording a session to a profile, WAPT works as an HTTP proxy server between the client and the server. The client may be a browser or a mobile application initiating the session. The server can be a usual webserver, web service or a mobile application backend. 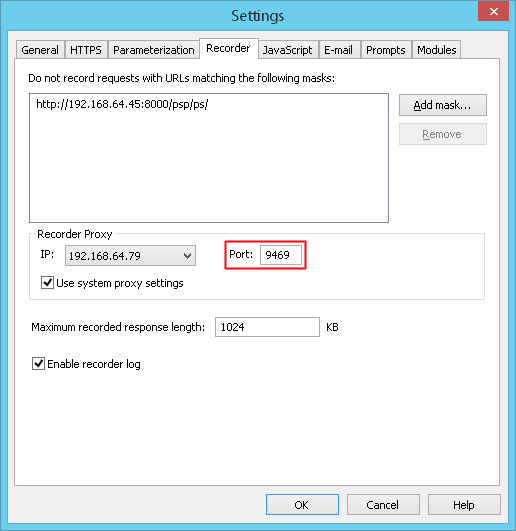 Depending on the security policy in your network, Windows Firewall and other security software can block incoming connections to the Recorder port. They may be allowed only from the same system, only from local network, or blocked completely. If you experience problems recording sessions in either case, you need to add a simple rule to your Windows Firewall settings to overcome the restriction. If the connection is blocked by any other third party firewall software, this is usually resolved in a similar way. 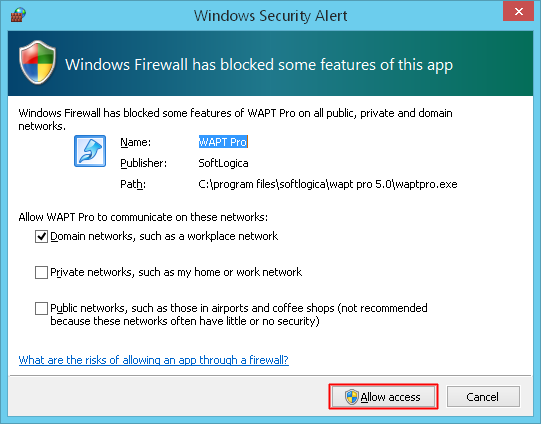 When you initially install WAPT, it tries creating the required Windows Firewall rule automatically. You just need to confirm when it prompts you during the installation. Click the "Allow access" button in the following dialog. If you do not confirm the addition of the rule at this step or the rule is not added for any reason (such as insufficient permissions), you will see that dialog again when you start recording. In such case you can add the rule manually. 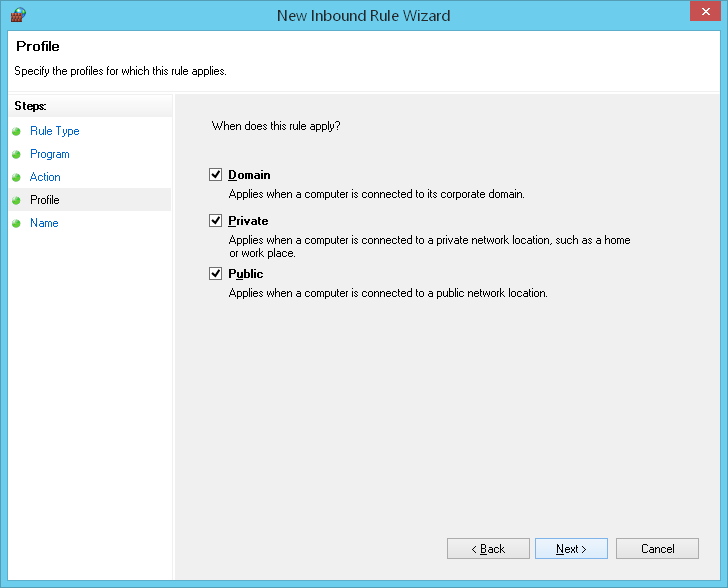 In the Firewall window select the "Inbound Rules". 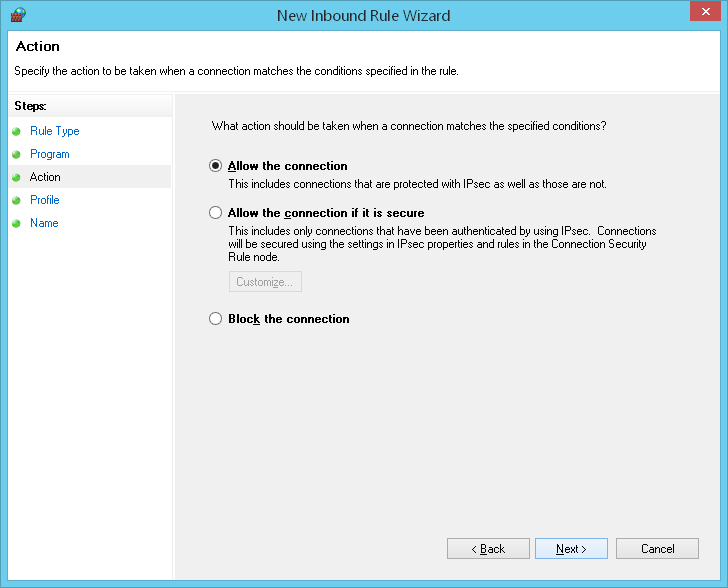 Click "New Rule…" to add a new inbound rule for WAPT. 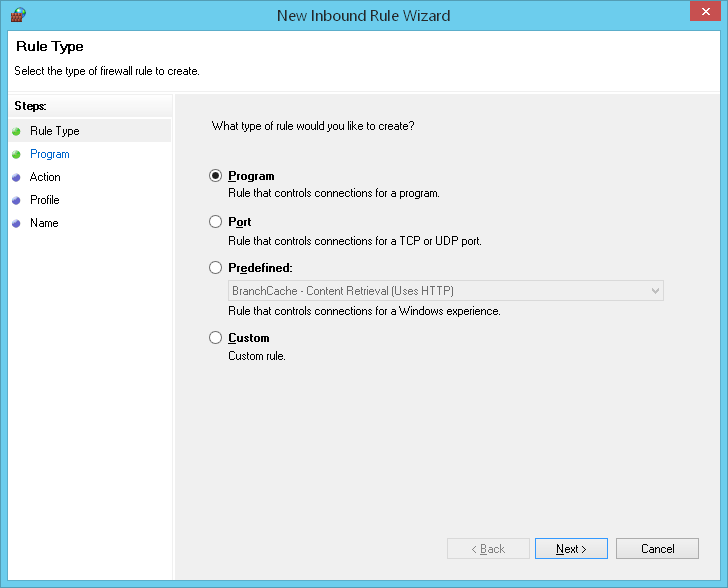 New Inbound Rule Wizard will appear. Select "Program" for the rule type and click "Next". Click "Browse" and find WAPT (WAPT Pro) executable file. Choose the "Allow the connection" option. Check the profiles for which this rule will apply. Enter the name for this rule and click "Finish". 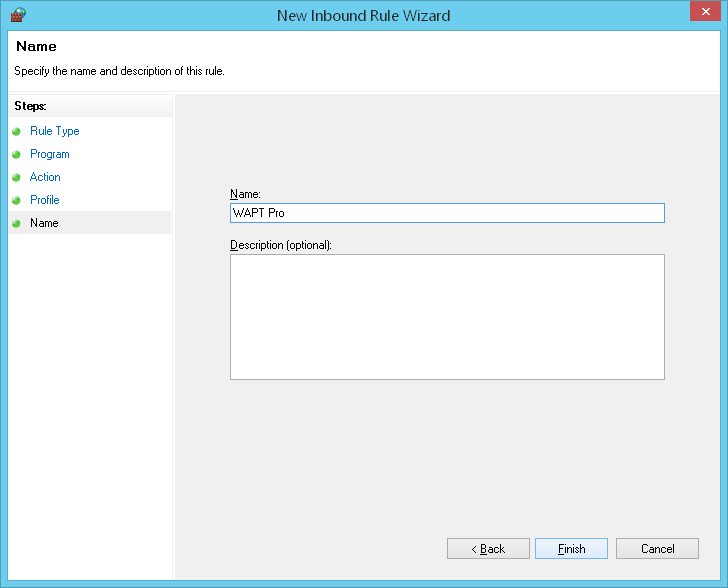 Add the same outbound rule for WAPT (WAPT Pro). 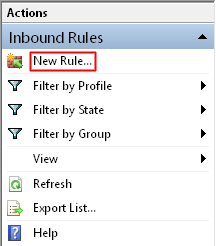 Select "Outbound Rules" > "New Rule…". 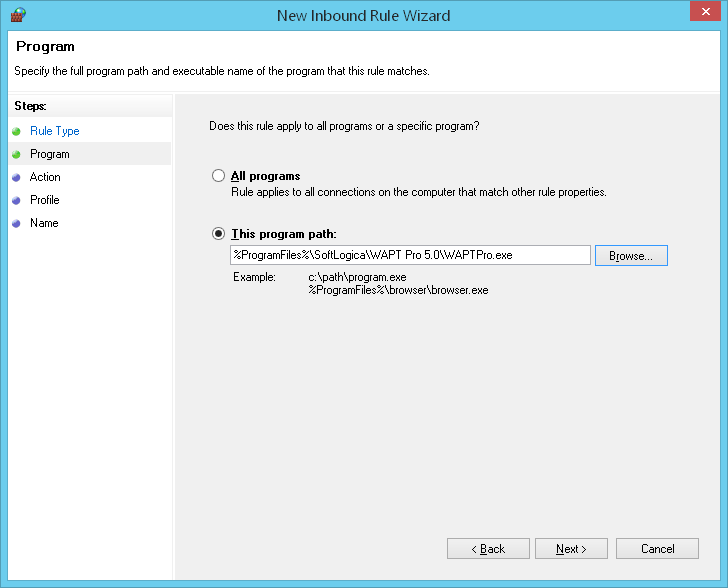 Follow instructions of the New Outbound Rule Wizard. 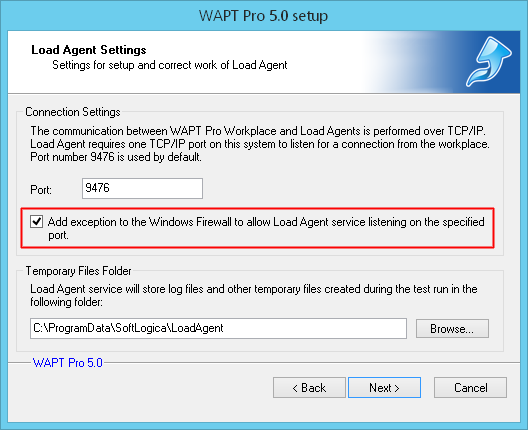 In case of WAPT Pro you will need to repeat the above procedure and create two rules for the load agent. In case you use several load agents on different systems, you will need to do this on each of those systems. Load agents are not used to record tests, but they need to establish connection with the workplace and with the target server.